Selecting A Commercial Roofer - Murray Roofing Company Inc. Selecting A Commercial Roofer - Murray Roofing Company Inc. Selecting A Commercial Roofer - Murray Roofing Company Inc.
Want to know how to fix a leaky roof? Want to know how hire a roofer? These tips will help make you make the best possible decision. Murray Roofing has been in business since 1976. 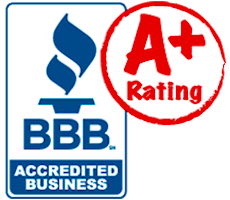 What is roofer’s Better Business Rating? Murray Roofing has an A+ rating! Does roofing company have Worker’s Compensation? Upon request, Murray Roofing will provide copies of the certificates and the phone number of the insurance carrier to confirm our documents are valid. Murray Roofing is fully insured. 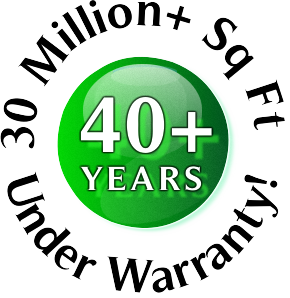 Murray Roofing has over 40 vehicles. Our professional estimators and roofers will assist you with your project start to finish. Murray Roofing specializes in commercial and industrial flat roofs. Our professional roofers only do flat roofs. Murray Roofing’s roots are in Buffalo, NY. We have worked hard to established our business reputation in the community. As word of our quality workmanship has spread, our “home” has grown to include Le Roy, NY and west to the Pennsylvania state line. Roof replacement cost is not everything. Never choose a company based on price. Customers with price as their sole criteria more often than not end up spending more money to fix problems. Murray Roofing is a reputable established roofing company. Our workmanship guarantee covers many problems others will charge you to fix. Watch out for high pressure sales tactics. If you are being pressured to hurry up and sign some document, walk away. Murray Roofing recommends you wait to see the contracts and take your time in reviewing. Our estimators will answer all your questions before you sign on the dotted line. Are job details in writing? No two roofing projects are exactly alike. Murray Roofing will put your unique job details in writing. We will discuss terms of payment, crew size and start & completion date prior to starting the roofing job. Communication is key to Murray Roofing’s successful roofing business. We will not only take your calls and answer all your questions beginning with the job estimate, we will work with you during the roofing project and just as important, our support staff will be available to you FOREVER after job completion.